Historical Building - Formerly Granby Fire Barn and Jail. Jail bars are still in building. Multi-Purpose all electric building with 10' ceilings and has been completely renovated, New roof, new heat pump, mostly new windows, new ceramic tile floors, updated 200 amp electrical system and lots of new electrical outlets. Also, 8 X 8 roll up door and loading dock in the rear. 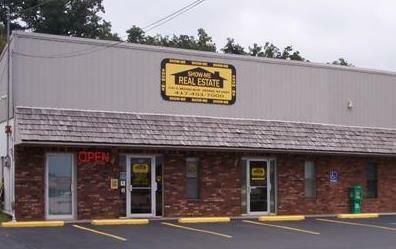 Located in downtown business district and could be used for restaurant, insurance office, real estate office or etc. Take A Look!